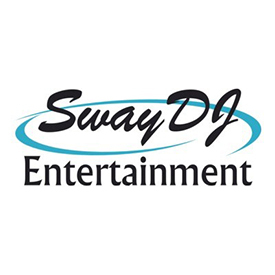 Sway DJ Entertainment "Not just Another DJ service" • Sway Exec Holdings "We Do Service Right"
You have set the day, you are planning a Corporate Event, Wedding, or some type of party, and now you need a DJ. A disc jockey is the heart of your party, and if it doesn’t beat the party is over. We at Sway DJ understand this and we only employee DJs that are upbeat and positive. We also understand we are at the party to make memories that will last forever. With the latest booms in the DJ industry, a lot of DJs have left the private party scene to pursue a career in the limelight. At Sway DJ we handpick our DJ selection for your particular event. We tailor every event to your needs. If you are having a Wedding, a Bar/Bat Mitzvah, a Family Reunion, a Class Reunion, an Anniversary or a Birthday Party you will never have the same experience. Sway DJ company is based out of Las Vegas, serving Southern California, Nevada, and Arizona. Our company is an event production firm that offers an exclusive DJ service that specializes in wedding entertainment and corporate events. We specialize in multi music formats to create the perfect mix of music, from 50’s, 60’s, 70ʼs, 80ʼs, and 90ʼs to today’s current hits. We provide a wide variety of genres and music generations for your guests. We have modern DJ s that loves to make people dance and have the time of their life!